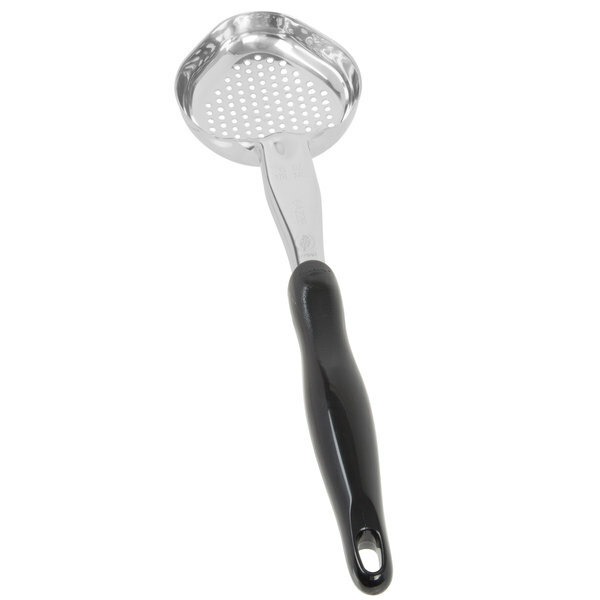 Control portions and maximize profits with this Vollrath Jacob's Pride 6422620 6 oz. 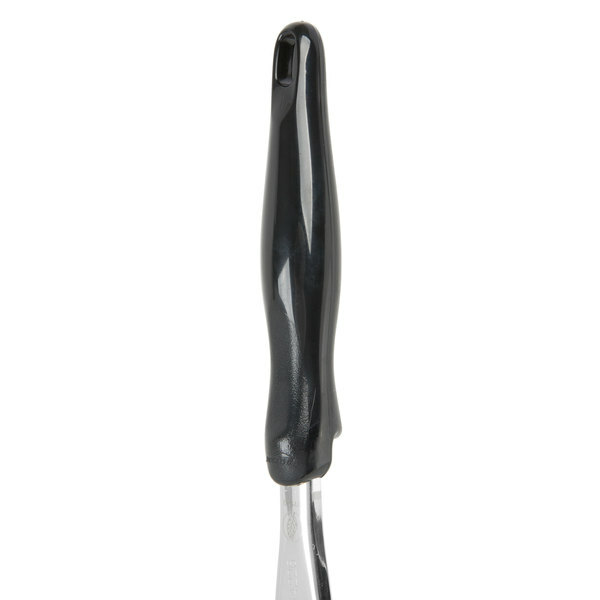 black perforated oval spoodle! 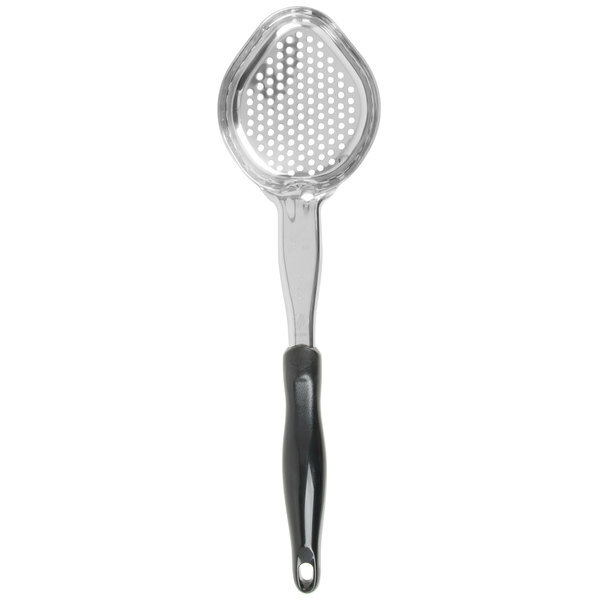 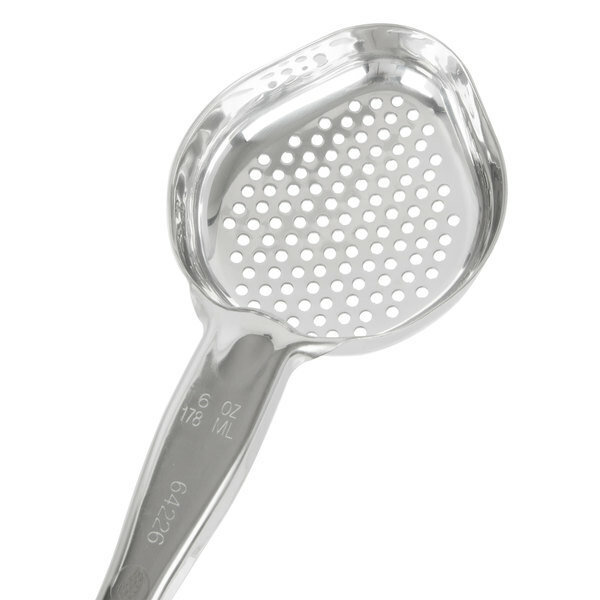 Perfect for creating consistent serving sizes and dishing up just the right amount of dips, vegetables, sauces, gravies, and more, this kitchen staple combines the convenience of a serving spoon and the accuracy and consistency of a ladle. 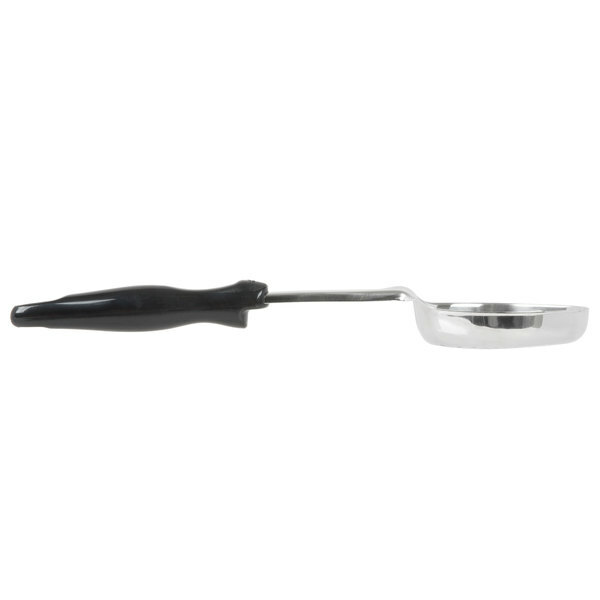 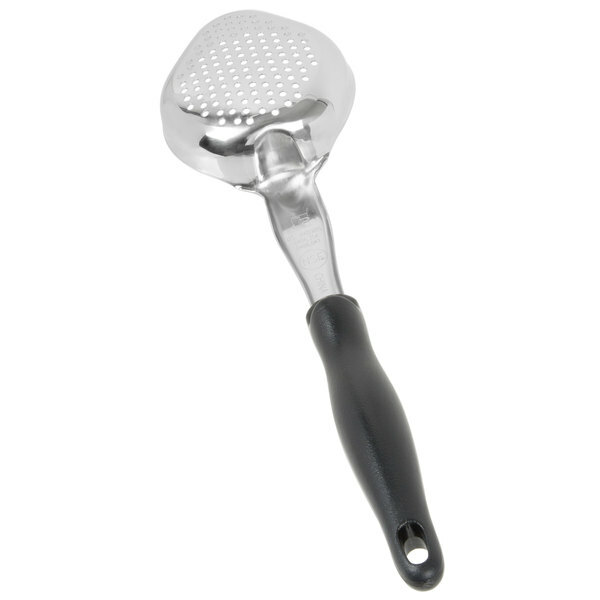 Practically designed, this spoodle features a built-in stopper notch to prevent the handle from sliding into food pans, and a textured, ergonomic handle to reduce hand fatigue. 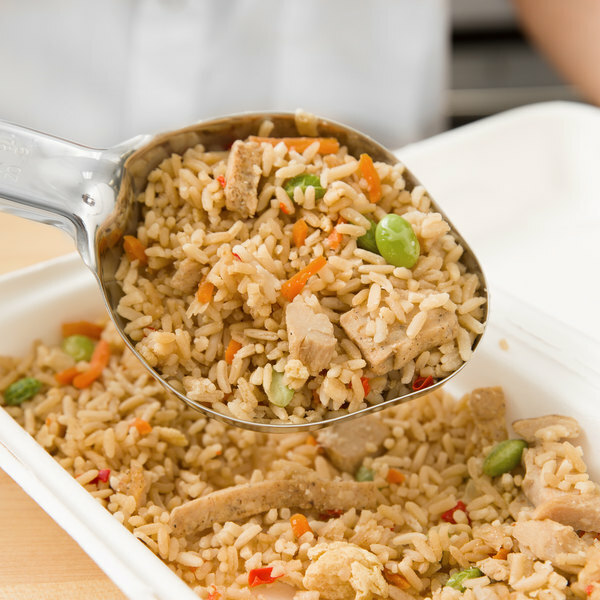 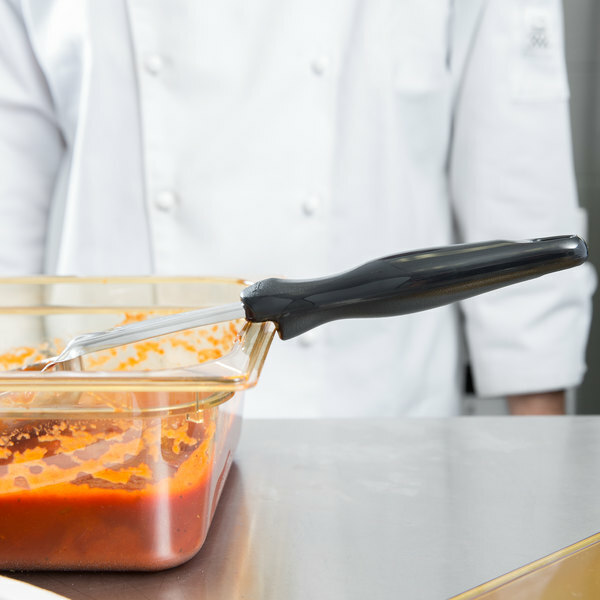 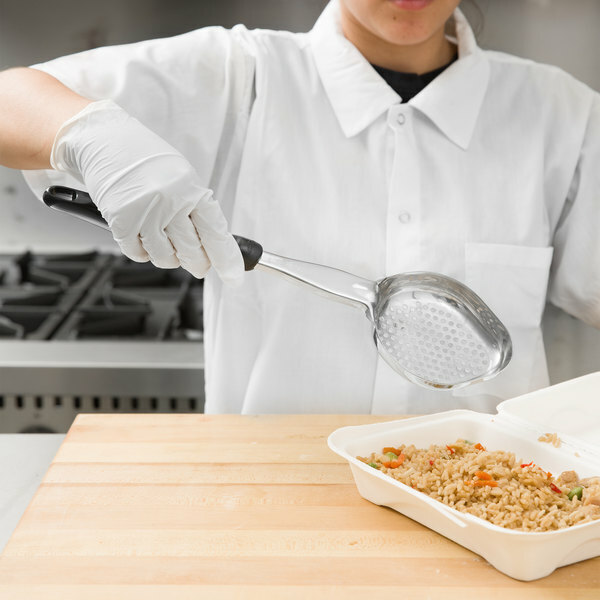 The oval scoop is designed to reach food pan corners, ultimately reducing waste and increasing the number of servings per pan!